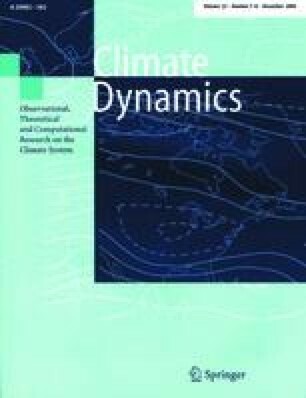 A comprehensive dataset of direct observations is used to assess the representation of surface and atmospheric radiation budgets in general circulation models (GCMs). Based on combined measurements of surface and collocated top-of-the-atmosphere fluxes at more than 700 sites, a lack of absorption of solar radiation within the atmosphere is identified in the ECHAM3 GCM, indicating that the shortwave atmospheric absorption calculated in the current generation of GCMs, typically between 60 and 70 Wm-2, is too low by 10–20 Wm-2. The surface and atmospheric radiation budgets of a new version of the Max-Planck Institute GCM, the ECHAM4, differ considerably from other GCMs in both short- and longwave ranges. The amount of solar radiation absorbed in the atmosphere (90 Wm-2) is substantially larger than typically found in current GCMs, resulting in a lower absorption at the surface (147 Wm-2). It is shown that this revised disposition of solar energy within the climate system generally reduces the biases compared to the observational estimates of surface and atmospheric absorption. The enhanced shortwave absorption in the ECHAM4 atmosphere is due to an increase in both simulated clear-sky and cloud absorption compared to ECHAM3. The increased absorption in the cloud-free atmosphere is related to an enhanced absorption of water vapor, and is supported in stand-alone comparisons of the radiation scheme with synchronous observations. The increased cloud absorption, on the other hand, is shown to be predominantly spurious due to the coarse spectral resolution of the ECHAM4 radiation code, thus providing no physical explanation for the “anomalous cloud absorption” phenomenon. Quantitatively, however, an additional increase of atmospheric absorption due to clouds as in ECHAM4 is, at least at low latitudes, not in conflict with the observational estimates, though this does not rule out the possibility that other effects, such as highly absorbing aerosols, could equally contribute to close the gap between models and observations. At higher latitudes, however, the increased cloud absorption is not supported by the observational dataset. Overall, this study points out that not only the clouds, but also the cloud-free atmosphere might be responsible for the discrepancies between observational and simulated estimates of shortwave atmospheric absorption. The smaller absorption of solar radiation at the surface in ECHAM4 is compensated by an increased downward longwave flux (344 Wm-2), which is larger than in other GCMs. The enhanced downward longwave flux is supported by surface measurements and by a stand-alone validation of the radiation scheme for clear-sky conditions. The enhanced flux also ensures that a sufficient amount of energy is available at the surface to maintain a realistic intensity of the global hydrological cycle. In contrast, a one-handed revision of only the shortwave radiation budget to account for the increased shortwave absorption in GCM atmospheres may induce a global hydrological cycle that is too weak.